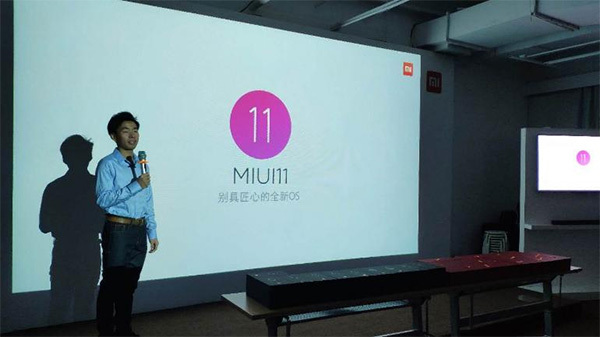 At the recently held Xiaomi MIUI Core Experience Annual Meeting, their Head of Product Planning, Liu Ming announced that development on the next version of MIUI, destined to be called MIUI 11. Ming also assured the MIUI 11 will have more “human” touches to its interface than previous iterations of MIUI. The interface will launch with the next generation of Xiaomi smartphones. According to Xiaomi, over 300 million users are on MIUI 10 on 40 different models that already support the stable version of the system. MIUI also gets a major update every year. Each version dispenses with several AI-based facilities. I recommend you to reread the previous article Xiaomi will invest at least $1.5 billion on artificial intelligence and smart devices to better understand what to expect from the next MIUI version. We slowly approach the day when the stadium construction will be completed and we will be invited to run on it. It is a comparison that transmits the desired message. We are currently pursuing technological performance. Over a period of time we will ask what we are capable of doing with them. The stadium is ready. The turf is impeccable. Start. Let’s run. Who starts? Until then it is not too much. MIUI 11 will come up with something new. The news comes from communicating with AI and the new facilities that we will operate. It’s the only novelty available this year. The new facilities will need an assistant capable of honoring our requests and devices to help. This is Xiaomi.